Chrono FM Review 2018 | Is Chrono FM a Scam or Legit Forex Broker? Beware Chrono FM is a Non-Licensed Broker. It is NOT SAFE to trade. Sanata Group Eood. Pentacle Group Ltd. Chrono FM. Bulgaria. St Vincent and the Grenadines. No License, No Regulation. Chrono FM is a trading name operated by the mentioned companies Sanata Group Eood and Pentacle Group Ltd, that claims a world-class trading experience in over 160 countries. The broker offering to trade about 175 products including currencies, CFDs, commodities, indices and stocks. The company mentions its location in Sofia Bulgaria, as well ita owning company based in St Vincent and the Grenadines, an offshore zone. Moreover, there is no any response to the regulation or authorization status. 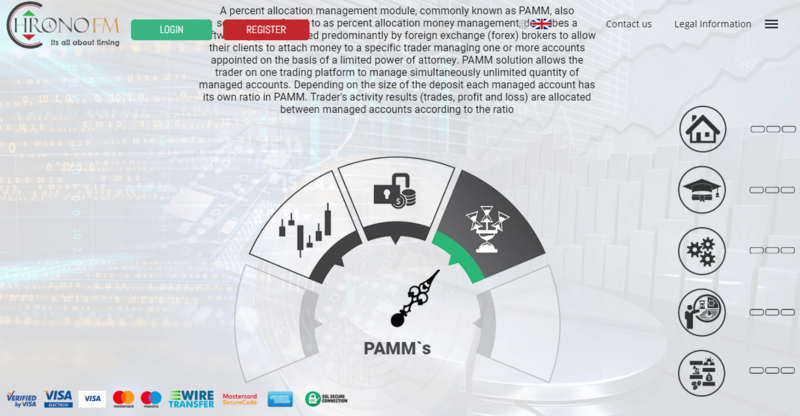 It is a fact, that every financial investment firm and trading provider should be registered and regulated as long as the company located in EEA zone and generally to have its legal power to offer investment service. Chrono FM trading name being established allegedly in Bulgaria should be then respectively registered by the local authority, yet it is not. Therefore, the broker Chrono FM can be classed as the non-regulated or offshore firm. The traders should strongly consider all risks involved in trading with such companies, and as per our advice should be avoided. The reason is that the funds’ security goes first in trading, and you should trust only those companies that strongly comply with the set of necessary protective tools applied and controlled only by the industry authorities. Thus, we recommend choosing broker carefully and only from the list of Regulated Forex Brokers. In addition, Chrono FM was detected in its illegal offering towards residents of various jurisdictions and been warned to this action.